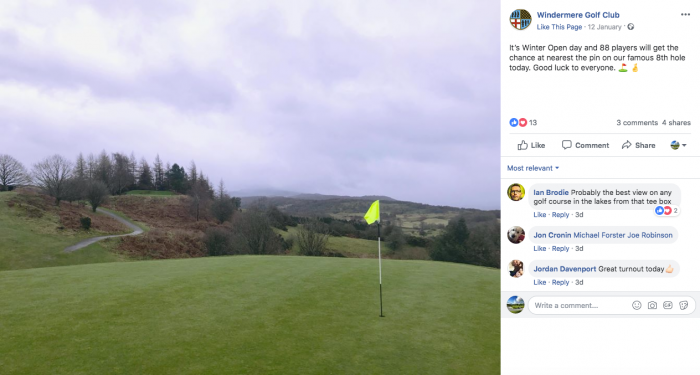 Windermere Golf Club in Cumbria has had arguably its most successful year ever, which has included setting a new record for visitor green fee income. According to The Westmorland Gazette the success has come about following a new management team being installed. New manager Martin Fishwick celebrated one year at the helm in December – and has overseen record figures at the club. He welcomed 69 new members in a busy summer, which, states the paper, ‘also saw the golf course record its highest-ever visitor green fee income’. Off course. new bar and catering managers Eddie and Sarah Edwards also made their mark, overseeing a 25 per cent increase in bar sales and building up a fantastic reputation for their food.